Surprisingly, your new Toyota Prius 2018 is only as costly as the cheapest sedan from the house of Audi, the A3. 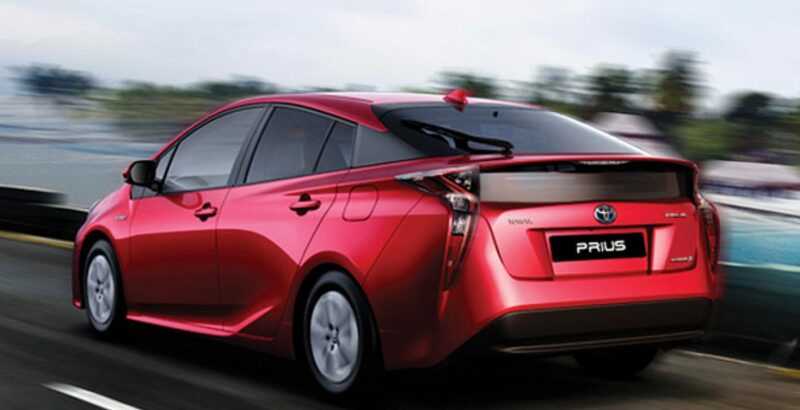 Precisely, the Toyota Prius 2018 price in Pakistan is around five million rupees. It means enjoying an extreme level of luxury is not that much beyond the reach now. The elite class buyers can easily afford it. Meanwhile, the buyers from upper middle class will also be able to own this car. Against this price, you will get an energetic 16 valve DOHC engine with 4-cylinder capacity and the chain drive mechanism. It measures 1798 cc in displacement. The Sequential Multiport Fuel Injection technology ensures the smooth generation of energy for a highly stable drive. For transmission, you have Continuously Variable Transmission or CVT mechanism. For the ease of driving, there are lots of great features with superb ergonomic design. They also include an electric power steering. For the style lovers, the color for the body of their luxury car is as important as any other big feature. Moreover, different individuals have their own taste for a specific color. For example, the people with sober personality and sublime thinking may go for a decent black or cool white. On the other hand, the people with an emotional attitude, will like to have red appearance for their luxury vehicle. 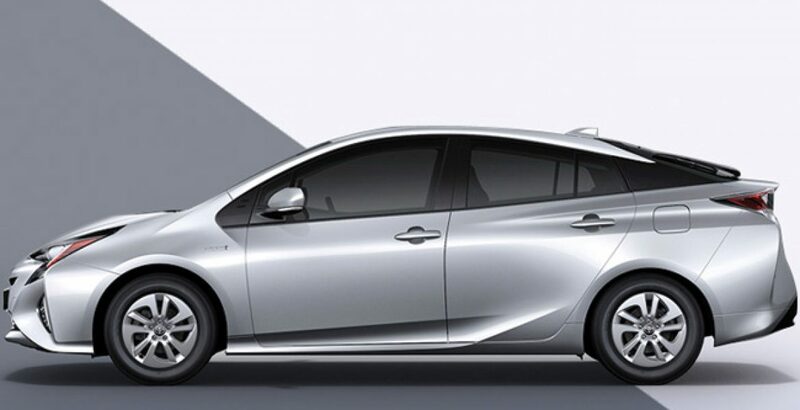 The fascinating color variants for Toyota Prius 2018 include White Pearl, Super White, Silver Metallic and Gray Metallic. These colors cater to the taste of people with cool and composed personality. The individuals with passion have Attitude Black Mica at their disposal. The Dark Blue Mica will offer an appeal to those who are jubilant. There is also something for the emotion lovers in the form of ‘Emotional Red’. 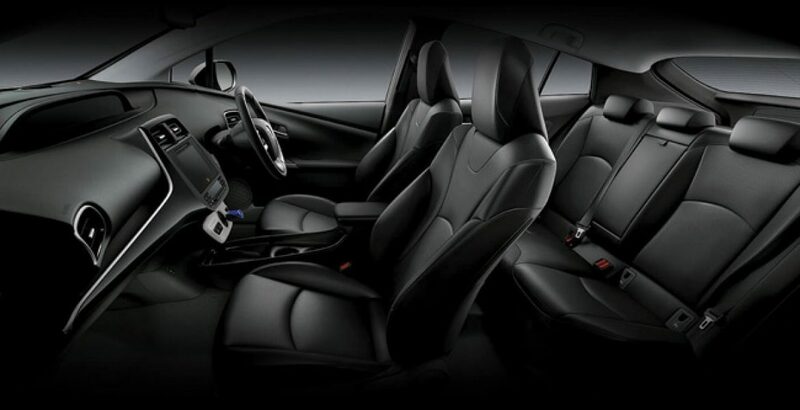 The interior of Prius 2018 is significantly spacious. It is to maximize the comfort and convenience of the passengers. The seats are big and wide with enough legroom in the front. So, the travelers will enjoy a comfortable and relaxing drive even on the long routes. The dashboard abounds in the latest technologies to facilitate driving and provide enjoyment to the travelers. 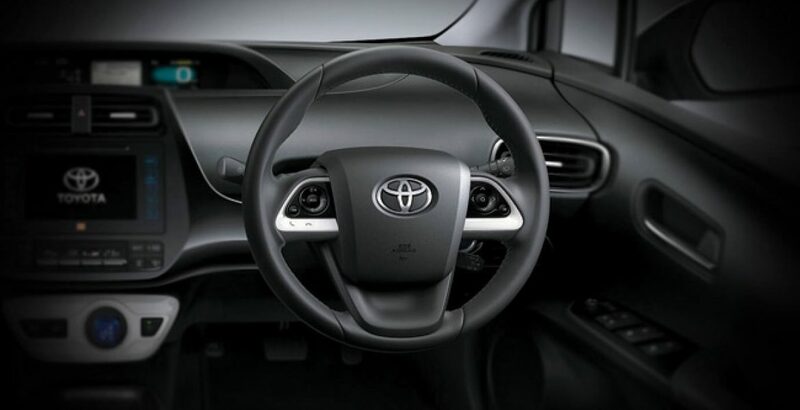 The multi-functional switches on the steering wheel give an effortless control over the drive. Also you won’t have to take hands off the steering wheel while driving. It is because the controls for drive, media and connectivity are all present here. 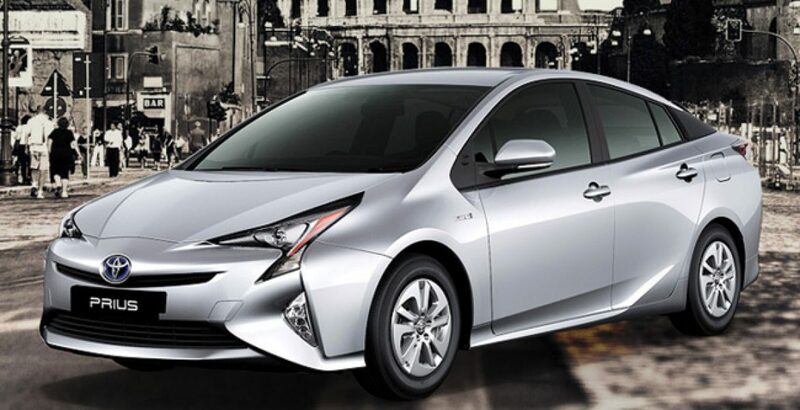 The new Prius brings with it an amazing system for controlling the speed of the car. After the driver has set the speed for the car, the Cruise Control system is turned on. The system automatically takes over the throttle to maintain the speed of the car. A smooth and stable drive, on the other hand, adds to the driving comfort. At the same time, the MID (Multi-Information) display is there to inform the driver about a variety of systems and functions of the car. For example, they can stay updated about the average fuel economy, history of fuel consumption, trip distance, average speed, and so on. Overall, against the justifiably high Toyota Prius price in Pakistan, the car is a perfect luxury for the city roads and highways.